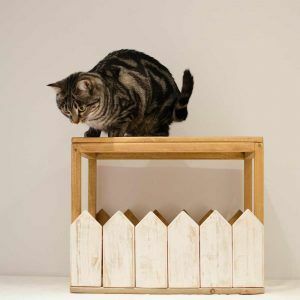 The Tramuntana cat litter box is handmade with recycled pine wood. 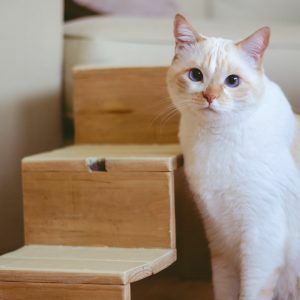 It allows your four-legged colleague to do his needs with intimacy and at the same time, you’ll have everything clean for a longer time. It has a door on the left side, so you can easily remove the tray and clean it. This tray is included. Without a doubt, it also fulfils a decorative function, you can put it in the middle of your living room and people will think it’s a house!